Concord (Mass.) Public Schools’ eLion has been embraced by the drivers, students, and the community, which is very concerned with environmental issues. With the “big three” school bus manufacturers all unveiling electric school buses or concepts, 2017 was apparently a tipping point for acceptance of the technology in pupil transportation. Meanwhile, IC Bus introduced its concept school bus, the ChargE, and Thomas Built Buses launched the Saf-T-Liner C2 electric bus, or “Jouley,” in 2017 (see second sidebar below for more on these buses). Other manufacturers of the vehicles — Trans Tech and Starcraft, and Canadian companies GreenPower and Lion Electric Co. — have offered electric buses for a few years now. 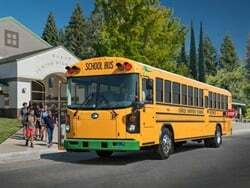 (The longest-running electric school buses are the four Trans Tech SSTes powered by Motiv Power Systems at Kings Canyon Unified School District in Reedley, California. They have periodically been in operation since July 2014.) Additionally, Collins is planning to introduce a Motiv-powered Type A electric school bus this year. 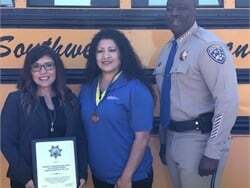 Some school districts and school bus contractors have secured the buses with grant assistance, including several districts in California in 2017. The state still represents over 90% of electric school bus sales activity, says Jim Reynolds, president and CEO of electric and hybrid vehicle solution supplier Adomani. However, other states are gaining traction, and ride-and-drives happening now with Blue Bird and IC Bus may spark more interest. VW Environmental Mitigation Trust funds will potentially help; some states aim to focus their funding on electric vehicles. Add to that the fact that battery capabilities continue to increase. As SBF reported in 2017, battery prices are decreasing significantly year over year while their quality improves, including the ability to charge faster. Kash Sethi, director of sales at Motiv Power Systems, which creates electric drivetrains for Starcraft’s Type C eQuest XL and Trans Tech’s eSeries, says that trend is continuing. He adds that more efficient batteries will get cheaper as sales volume rises, and that a new generation of batteries with more energy density will become available. Beyond greater availability and affordability in some cases, what are the real-world results that electric school bus operators are seeing? SBF checked in with a few operators across the U.S. dealing with different climates and located in urban and rural areas. Operators say that they are seeing reliable and quieter operation, strong stakeholder support, and are saving on fuel costs. They also anticipate maintenance cost savings, as well as longer brake life due to regenerative braking, which stores energy captured in the braking process for later use. Operators also advise that partnering with utility companies, having the charging infrastructure in place before receiving the buses, and extensive driver training are essential to success. New York-based Educational Bus worked with Motiv Power Systems and Trans Tech to upgrade its eSeries’ heating system to meet state requirements. Overall, pupil transportation providers from California, Minnesota, Massachusetts, and New York have had positive experiences with daily operation, charging, fuel savings, and community feedback. 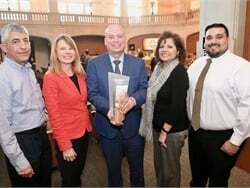 Pat Cahill, director of transportation for Rescue (Calif.) Union School District, says the district’s eLion, which was obtained through the state’s Rural School Bus Pilot Project grant, has been in service on a route since February, running about 60 miles round-trip and charging mid-day. The district uses a charging station that can be programmed to only charge when electricity is cheapest. Cahill anticipates saving at least 50% on fuel costs with the bus. 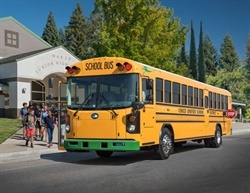 Timothy Shannon, director of transportation for the Twin Rivers (Calif.) Unified School District, says that his district also uses a charging station that can be programmed to charge when rates are lowest for its eight eLions and eight eSeries buses. Since the start of the 2017-18 school year, Twin Rivers’ eLions have run between 50 and 70 miles per day, with plenty of power left at the end of a route. “We have been plugging them in when we come back from the first [route], just because we want to make sure they have enough juice, but they are coming back with [up to] 80%,” Shannon explains. Data tracked for January and February indicate the district has lowered fuel costs by 82%, compared to a diesel bus of equivalent size. That surprised Shannon; he expected savings at closer to 60%. Moreover, the district expects to see a 20% savings boost from the strategically timed charging. Public feedback from Shannon’s district, including from students, has been positive. 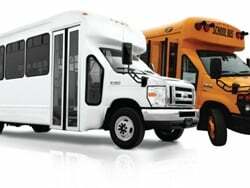 Twin Rivers USD plans to add at least four more electric school buses in the 2018-19 school year as soon as funding is available. In Minnesota, transportation company Schmitty & Sons has run a pilot with an eLion for 72 miles daily for Lakeville Area Public Schools since September. The biggest benefits for the company are the ease of operation and how quietly the bus runs. Additionally, drivers don’t have to pre-start the bus on cold mornings, says Mike Forbord, divisional operations manager for the company. “It’s been a big success for us,” he says. 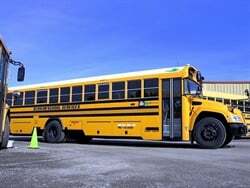 In Massachusetts, Concord Public Schools’ eLion has been in operation off and on for the past year and a half, and has been embraced by the drivers, students, and the community, which is very concerned with environmental issues, says Wayne Busa, the transportation manager for the district. Since the beginning of the 2017-18 school year, Twin Rivers (Calif.) School District’s eight eLions have run between 50 and 70 miles per day, with plenty of power left at the end of a route. Forming a partnership with the local electric company can help with the cost of the bus and tracking data on power use to get a real sense of dollars saved, operators say. 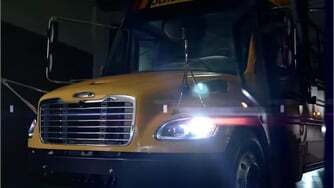 For example, Schmitty & Sons partnered with two local electric companies — Dakota Electric Association and Great River Energy — on its electric school bus pilot. The three companies split the $350,000 price tag of the bus equally. 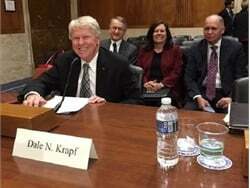 The bus can travel 80 to 100 miles on a full charge, says Joe Miller, public relations director at Dakota Electric Association, and takes up to eight hours to fully recharge. The utility companies are helping to monitor fuel and maintenance savings over the entire school year, and will release a report in July. The fuel savings so far comes to over $1,500 for the first six months. The bulk of the savings is expected to come from maintenance, since the bus doesn’t need oil changes, filters, and belts. Twin Rivers USD received significant support from its electric company, Sacramento Municipal Utility District (SMUD), which funded the portion of the charging infrastructure that a Sacramento Metropolitan Air Quality Management District grant for 16 electric school buses (eight eLions and eight eSeries) did not cover: approximately $92,000. 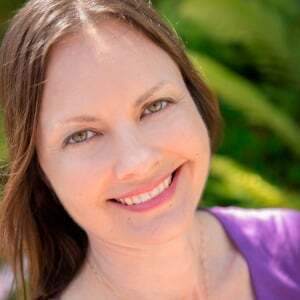 In return, Twin Rivers USD put labels on the buses that said the district partnered with SMUD for green energy, Shannon says. Operators also recommend having the charging infrastructure in place well ahead of the buses’ arrival. At Twin Rivers, there were some unanticipated delays from the utility company to upgrade the district’s charging infrastructure to adequately power the buses. Concord’s Busa agrees. Although its bus ran reliably, the district had some issues when relocating its bus depot and switching charging stations. 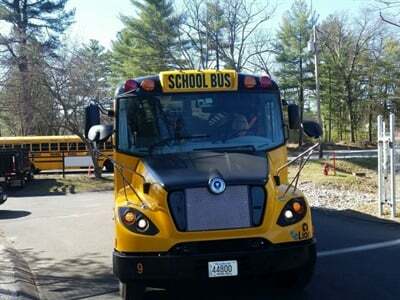 A grant from the Massachusetts Department of Energy covered the entire cost of the bus and charging equipment for Concord Public Schools’ eLion, Busa says. 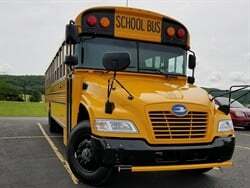 The bus had been transporting students for six months at about 60 miles a day, using a one-way charger. Then, the district built a new bus depot to install a bi-directional charger in August 2017. They stopped running the bus during the move while waiting for the charger installation at the new location because the charging unit they had used before, near the former depot, was located on the other side of town, Busa explains. Additionally, delays in finishing the new depot prolonged the completion of its charging infrastructure, says John Flaherty, deputy superintendent for finance and operations for the district. “It’s best if you have the specs you need for charging and get that hooked up as quickly as you can,” Busa adds. The bi-directional charger has been operational since November 2017, and the bus has since been running regularly. School districts are often in older buildings, which don’t have the necessary power available to charge electric vehicles, Sethi of Motiv notes, so utility companies need time to update the back-end infrastructure, including adding transformers or power lines. Thankfully, some utility companies, such as Pacific Gas and Electric Co., Con Edison, and Duke Energy, have taken note and announced plans for programs to encourage transportation electrification. “We absolutely need utilities to be part of the conversation,” Sethi says. Preparing for specific requirements buses need to meet, such as for heating or avoiding rolling backward, can also help prevent delays in getting and keeping them on the road. Shortly after putting its eSeries into service during the 2016-17 school year for Copiague (N.Y.) School District, Educational Bus, a subsidiary of The Trans Group, found that its heating system wasn’t strong enough to run during New York’s colder temperatures and meet state requirements, says James Gocke, director of maintenance. Motiv Power Systems made upgrades to the drivetrain to improve power over about a year. Then, Motiv worked with Trans Tech to include a newer, fully electric HVAC system as they upgraded the heating, Sethi says. Educational Bus got the bus back three months ago, and the heating has worked well, Gocke says. Twin Rivers USD’s eight Trans Techs also needed to get a slight rollback corrected before going into operation. Motiv had released a software update, “hill hold,” which fixed the issue. In addition to drivers, local emergency responders should be trained on ways in which electric buses are unique. Educational Bus worked with Copiague School District and local firedepartments in the area s the bus would travel through so that first responders would be aware of the electric bus’s differences, Gocke says. Motivalso provided documentation for emergency responders to refer to for accident procedures. Drivers also need to be educated on how electric vehicles handle differently. 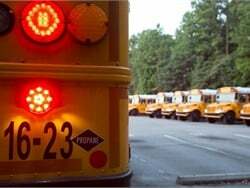 Educational Bus has also trained drivers on emergency procedures and the locations of major disconnect switches and charge ports. “We are taking the necessary time to research, engineer, and validate the technology and components that make up the ChargE,” says Trish Reed, vice president and general manager of IC Bus. 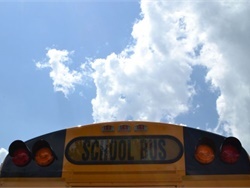 Two New York school bus contractors have seen success after turning to hybrid electric conversion technology to decrease emissions and cut costs. 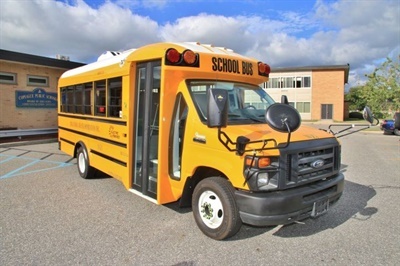 Suffolk Transportation Service in Long Island has developed plug-in hybrid school bus technology and put it into service at Brentwood Union Free School District in March. 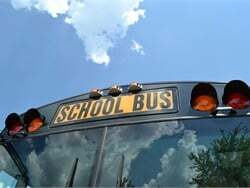 The bus and technology were developed over a two-year period by the school bus company, with technical assistance from Unique Technical Services. Power to the transmission switches from diesel to electric as the vehicle gets up to speed. “Suffolk Transportation invested tremendous time and capital in the technology, in part to encourage major bus manufacturers to develop efficient, clean technology at a lower cost,” says John Corrado, president of Suffolk Transportation Service. Road testing found the diesel-electric powered vehicle achieved 7.5 to 8.5 miles per gallon under normal conditions. By comparison, a diesel bus gets 6.5 miles per gallon, says Thomas Smith, executive director of operations at Suffolk Transportation Service. The new technology was approved by the New York State Department of Transportation in October. 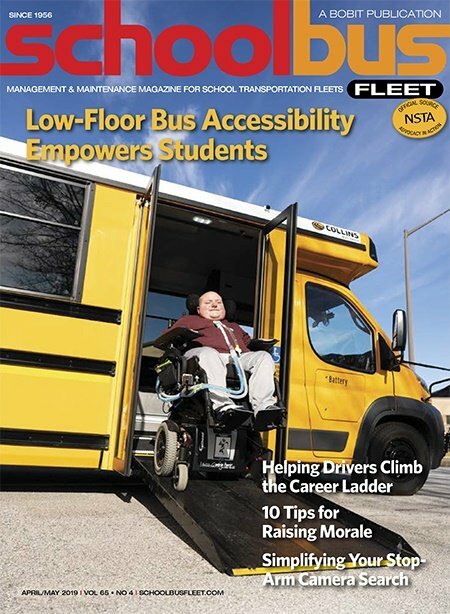 Meanwhile, Careful Bus, which runs 110 Ford E-350 gasoline school vans for special-needs transportation for the New York City Department of Education, has run a pilot with a hybrid electric system over the last eight months, says Marty Hoffman, co-owner of the company. Careful Bus had the XLH Hybrid Electric Drive System, a connected electrification solution from XL, installed on one vehicle at the beginning of the 2017-18 school year. No special driver training or charging infrastructure was needed to deploy the technology. Now, the company has five vans equipped with the system. As an urban operation with constant stop-and-go traffic, the regenerative braking feature has worked out especially well for Careful Bus. “We are experiencing cost savings on fuel and reduced brake wear, and are accomplishing our goals of continuing to reduce our emissions,” Hoffman says. Without the XLH system installed, the vans get about 7 to 8 miles per gallon. Careful Bus is now seeing closer to 10 miles per gallon. Blue Bird has brought Type C and Type D electric school buses to the market in 2018, and started demonstrating them in a nationwide tour with ride-and-drive customer events in January. The tour will continue with more events planned through the rest of the year. The buses’ electric drivetrain was developed with partners Adomani and Efficient Drivetrains Inc. The Type C and D electric buses include a 160 kilowatt-hour (kWh) lithium-ion battery capacity, which is designed to provide up to 120-mile range on a single charge; a limited seven-year battery warranty; and a portable, standard charging station that can recharge on a single shift or overnight. Additionally, Blue Bird plans to offer vehicle-to-grid capability, with support from a U.S. Department of Energy development grant in 2019. Deliveries are expected to begin in late summer/early fall of this year, with orders already in place, according to the company. 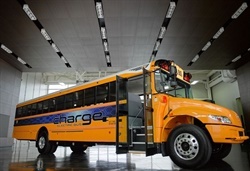 IC Bus also kicked off a national tour with its ChargE concept electric school bus in March. The first leg of the tour began in California and continued into Washington state. The ChargE concept electric school bus incorporates a common group electric drivetrain from Volkswagen Truck & Bus. It features a quiet drivetrain and does not produce any emissions, according to the manufacturer. The ChargE’s range can exceed 120 miles, according to IC Bus, while the powertrain can deliver up to 260 kW (about 349 peak horsepower). 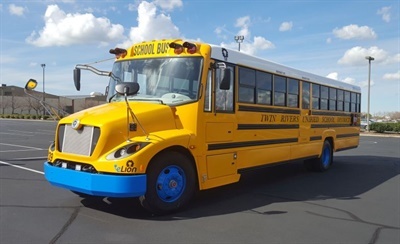 IC Bus first unveiled the ChargE electric school bus at the National Association for Pupil Transportation trade show in November. It is expected to launch in late 2019 or early 2020, and was developed as part of the alliance between IC Bus parent company Navistar and Volkswagen Truck & Bus. Thomas Built Buses’ Saf-T-Liner C2 electric school bus, named “Jouley” after the unit of energy called the joule, also made its first appearance at the NAPT conference. 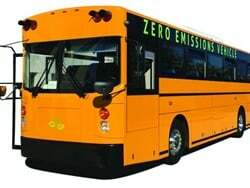 The electric bus runs on an Efficient Drivetrains Inc. PowerDrive 7000EV powertrain. Jouley is expected to go into early production in 2019. The bus provides 160 kWh of battery energy, with an approximate range of up to 100 miles between charges, and an option for higher range with additional battery packs. According to Thomas Built Buses, Jouley offers quiet operations, zero emissions at the tailpipe, and exportable power. Students riding the bus will be able to charge their computers and other devices directly from the vehicle.